I don’t do a lot of HTML work directly anymore but am of course curious about what is possible with the version 5 spec. 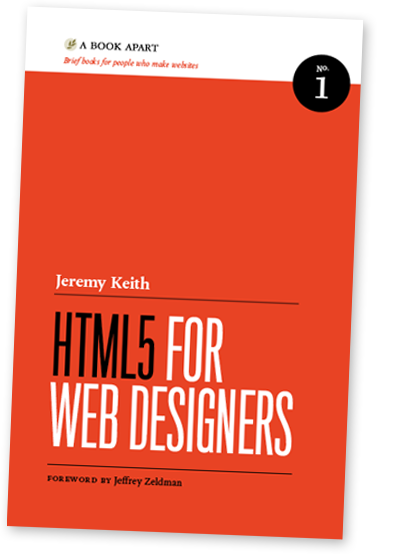 Not being interested in reading an entire tome about the history of the Web, etc… I thought I’d give HTML 5 For Web Designers by Jeremy Keith a shot. Its a nice light yet informative read that can be downloaded from A List Apart for only $9.00. I give it a “thumbs up”. Not like the iPod was the real killer of the Sony Walkman (portable CD players were once everywhere) but they sure didn’t help. 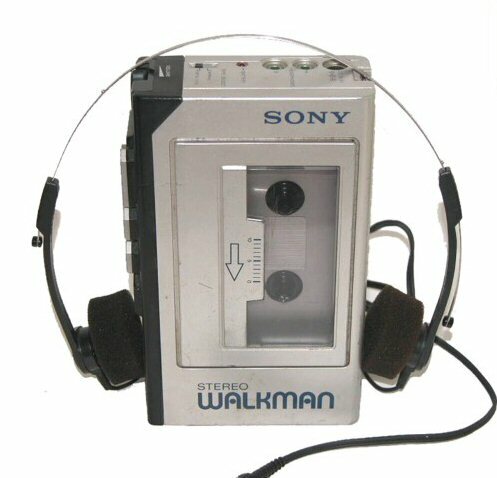 Alas, on the 9th anniversary of the release of the iPod, Sony officially announced it would no longer make the cassette walkman. I’ve had several including the very first Sanyo one I’d gotten as a kid. Big orange headphones, giant “portable” cassette player with a built in AM FM radio. It was revolutionary. AM radio, are you next? This most definitely made me chuckle if not least of all because of all the clients who when asked what Web sites they like come back with the answer “Apple and Google”. We have two eBook readers around our house, the Barnes & Noble Nook and the Apple iPad. Of course, the iPad isn’t an eBook per se yet I love to read on mine. There are about a million opinions on whether or not eBooks are as user friendly as paper books and even more on how the iPad stacks up against more traditional eBook readers. Interesting development in Facebook’s hopes to dominate the Web was announced at f8 this week. 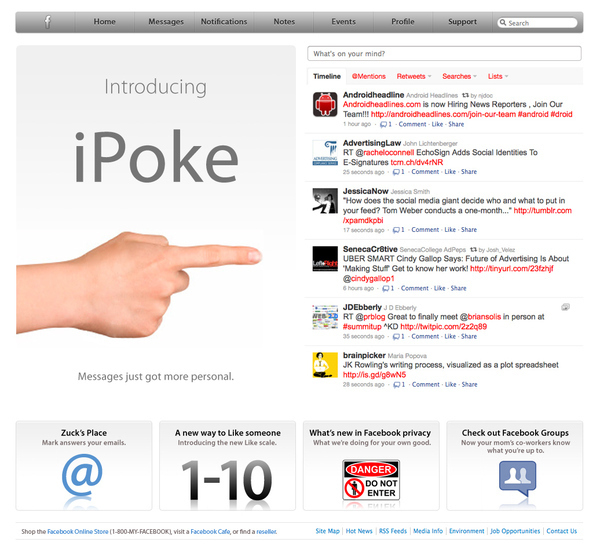 Sites now have the ability to add a Facebook “Like” button to any page or post of their site or blog. This *may* develop into yet another way to get some serious face time in front of Web users who may be teased into visiting a site they may not normally stumble across. 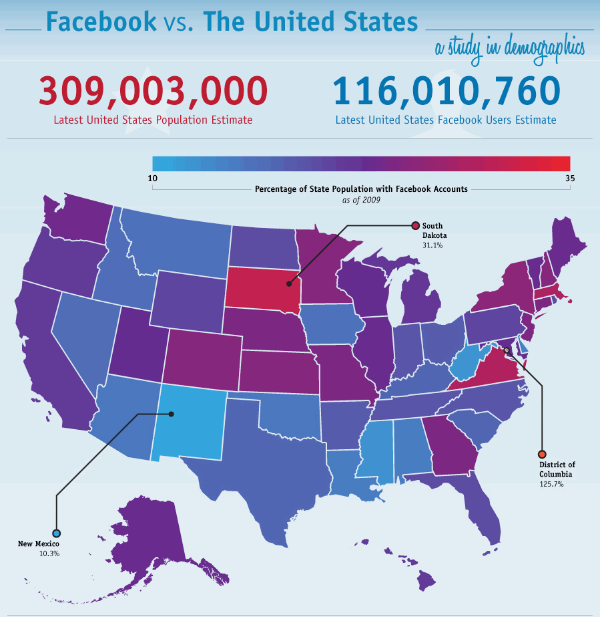 Interesting infographic comparing the population of the United States with the population of US Facebook users. There are a few surprises including the fact that South Dakota has the highest percentage of users of any state. Only the District of Columbia beats it with a whopping 125% (how is that even possible?). Think you might capture kids with a hip blog? Doesn’t look like it from these numbers. Stick with social networking and Twitter or SMS if you really want to get their attention. Thinking about creating a mobile version of your site? Keep an eye on browser stats and know how to tailor your templates. 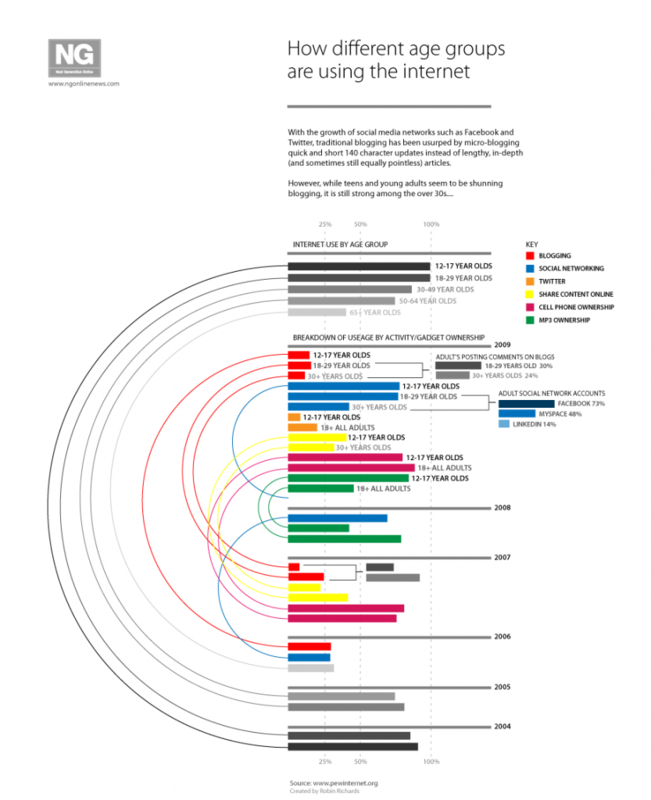 What’s perhaps going to be most interesting is to see if Apple can keep the market share that they currently have. Adding the iPad won’t hurt but Android phones are quickly catching up and may very well surprise the folks in Cupertino. We talk a lot about social media and how we can use it to generate buzz and traffic to our Web site. By using Twitter and Facebook to our advantages, TJSL is attempting to raise awareness of the institution and the excellence of the education at our school. In particular, this part of a strategy to generate traffic as we prepare for a major redesign of our site. From socialreflection.com, the impact social media can have on your site.